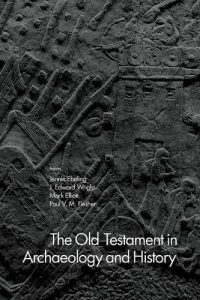 This series of posts has been following the most recent publication on the archaeology and history of the Old Testament — The Old Testament in Archaeology and History (OTAH) — and has now reached the point of the earliest historical evidence for the presence of Israel and her God Yahweh in Canaan. In 1896 W. M. Flinders Petrie, excavating a temple in Luxor, Egypt, discovered an inscription on stone that said “Israel is wasted, its seed is not.” The inscription or stele belonged to Pharaoh Merneptah and was dated 1207 BCE. That’s roughly 207 years before the time of David and Solomon. There is no biblical account of Egyptian forces destroying Israel according to the claims of the Merneptah stele. For context, here is the relevant section of that inscription. It is describing an Egyptian military campaign into Canaan. The (foreign) chieftains lie prostrate, saying “Peace.” Not one lifts his head among the Nine Bows. Libya is captured, while Hatti is pacified. Canaan is plundered, Ashkelon is carried off, and Gezer is captured. Yenoam is made into non-existence; Israel is wasted, its seed is not; and Hurru is become a widow because of Egypt. Some scholars (who? a few citations, please!) argue that Merneptah brought Israelites into Egypt as captives. Presumably on their trek to Egypt these Israelites encountered the nomadic Shasu from Edom, the earliest known followers of the god “Yahweh”. That is far from being anything like a “historical reconstruction” of the biblical story in my view. But let’s continue with the chapter. 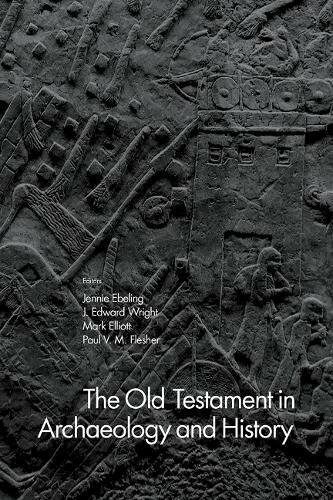 Around this time the reader is informed that “there was a dramatic population increase in the central highlands of Canaan at the end of the Late Bronze Age and the beginning of the Iron Age”. That’s around 1250 to 1050 BCE according to the timeline on page xvii of OTAH. Where does Yahweh come from? We return to those nomadic people known as Shasu. Egyptian records place them in the region of Edom (including Seir, the mountainous region of Edom) and the Negev. Those same Egyptian records also portray them as undesirables, “robbers and brigands”. Sometimes the Egyptians allowed the Shasu into their delta regions to water their cattle; other times we read of conflicts with the Shasu throughout Canaan, and even at one point of being spies for the Hittite enemy of Egypt.